Why Did We Start A Vintage Box? Well the answer is simple really. Vintage was my original obsession when it came to thrift hunting, and one of the best parts about it in my opinion. There’s nothing like finding that sick distressed 70’s bell bottom jean or designer piece. My first vintage pick was a 70s vintage t-shirt and lime green polyester pants. I remember being crazy excited to wear the pants to middle school the next day - paired with my Wet Seal velour track jacket of course (rolls eyes). In all serious though I loved it! And it’s memories like this that I want to fill in other people’s closets. So I’ve come up with the limited edition Vintage Box from A Curated Thrift. Be able to pick your favorite era and receive that special dress, wrap or top that will instantly catapult you. 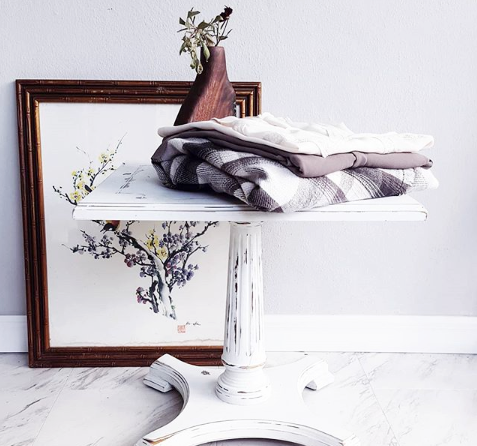 Our Vintage Box sends one unique vintage piece straight to your door without having to worry about shipping costs. 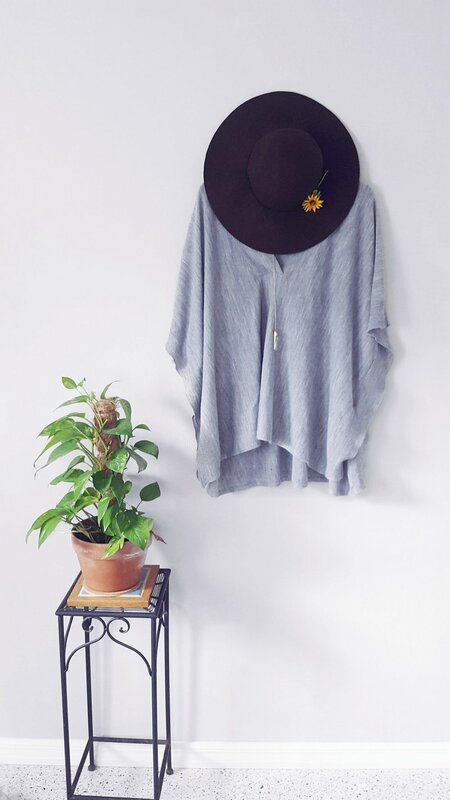 It’s that super cool fix to spice up any wardrobe. The package is only $34.95 a month. If it’s not something you would wear, not to worry! You can easily return the piece for free and receive an exchange piece in your next month’s box. Pretty sweet right?! We think so too. In this post we’ll share what eras we currently shop for and my favorite fashion find for that decade. Who doesn’t like a peasant top or high-waisted jean that hugs the hips. My favorite 70’s vintage find would most definitely have to be my first thrift find ever - the lime green pants and graphic t-shirt. The loud colors, the bold non-apologetic prints, these are some of my favorite things about 80’s fashion. I DO know that I was obsessed with Patrick Nagel art. 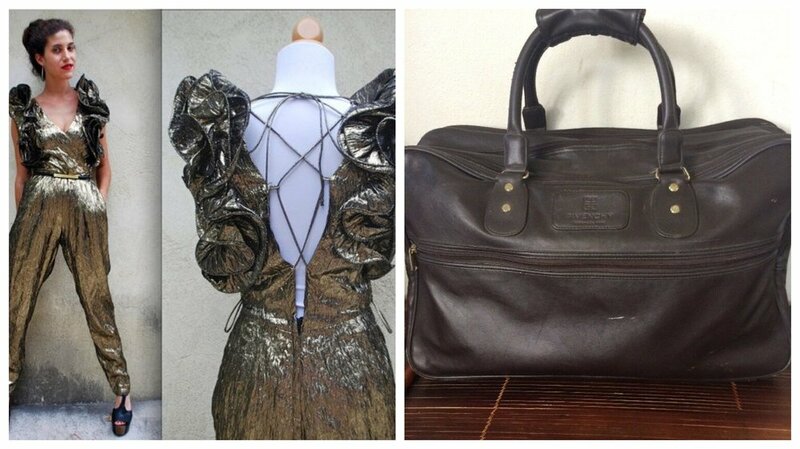 As for my ultimate vintage find from this era, it would have to be either the Givenchy leather duffel I found at my local Salvation Army or a metallic jumpsuit like the one seen in the image below. Okay, so you know what era I grew up in, but I’m definitely not bias. Some 90’s vintage is cool, other styles still makes me cringe, like those violent snap bracelets and pacifier necklaces. 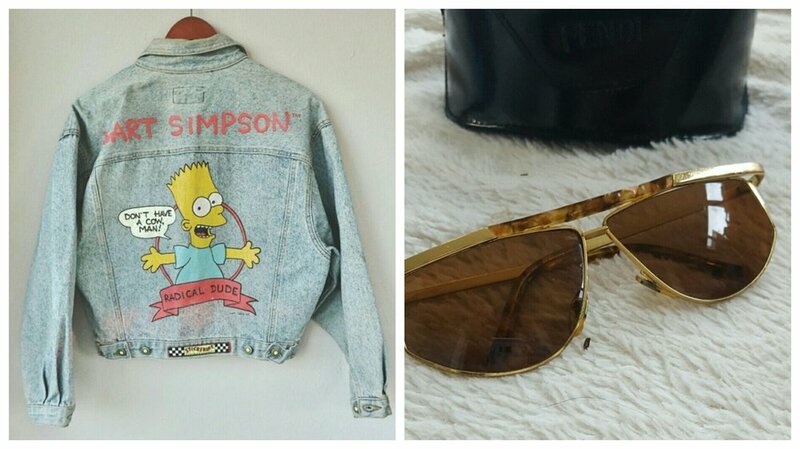 My favorite 90’s find was by far the Bart Simpsons jean jacket that said ‘Don’t have a cow man!’ and Fendi aviator sunglasses. Well, now that you know what we shop for and what I used to wear in high school, you’re ready for your first Vintage Box! Want to try it out once or give it as a gift to that friend that LOVES vintage? It’s super easy, just select the ‘Give a Gift’ button and you can try this new box without automatically subscribing.